A-1 Home Care Agency is pleased to offer In Home Care, Senior Care, Respite Care, Alzheimer’s and Dementia Care, Hospice Care, Post-Stroke Care, Special Needs Care, Diabetic Care, Active Child Care, and Disabled Child Care in the San Dimas or Los Angeles County areas. Our exceptional homecare services are guaranteed to make the difference in the lives of our valued clients. Whether you or your loved one requires assistance in an assisted living facility or private home, our commitment to excellence will be sure to add to the quality of your everyday life. To procure a Certified Nurse Assistant, Caregiver or Home Health Aide for a loved one with Disabilities, Handicaps, Developmental-challenges, or a Terminal Illness please call us at (909)861-7700 at any time, 24 hours a day, 7 days a week, 365 days a year. For 23 years, A-1 Home Care has delivered 100% customer satisfaction to seniors and their families all over Los Angeles County, earning a solid reputation of trust, quality, and reliability. You too can enjoy diverse affordable, low-cost homecare services at competitive rates you won’t find anywhere else! From multi-lingual 24 hour live-in care to hourly live-out care, you can receive a variety of ethnically diverse personal care, elder care, postpartum care, disability care, cancer care, hospice care, and other types of in-home care services available on reasonable payment plans, rates and terms. Whether you choose to privately fund or go through Veteran Benefits and long-term care insurance, you have a wide range of senior living options to choose from! Ask us today how you can finance care at home and set up a free consultation with face-to-face interviews! 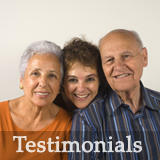 We have experience dealing in elder law. We have also helped many conservators in their financial affairs by helping them become better senior protectors. At A-1 Home Care we are passionate about providing quality homecare to each and every one of our clients. After 20 years of home health service, we continue to selectively recruit, and thoroughly screen each Home Health Care Professional to ensure that in home care needs and expectations are accommodated. Each nonmedical home care aide is CPR-certified, First-Aid trained, Malpractice/ Liability insured, and provided with opportunities and incentives to stay abreast of up-to-date standards and best practices of the homecare industry. Our phenomenal care, unbeatable prices, and sustained commitment to excellence in home healthcare make A-1 Home Care the optimal choice for all of your in home care needs. For hourly, live-in care or overnight care -- 24 hours a day, 7 days a week in your San Dimas or Los Angeles County home, please contact A-1 Home Care at (909)861-7700.